Let’s face it, dental care can be expensive, which is why you need an in-network dentist in Zionsville. Choosing one who is partnered with your dental insurance company will help to keep the cost of services within your budget so you are not hit with any unforeseen out-of-pocket expenses. However, there are a lot of options in the area. It can be difficult to determine which one will help you maximize your coverage. When choosing a dentist, there are several things you should consider prior to making your final choice. When it comes to visiting the dentist, you need to keep your teeth and gums healthy without breaking the bank. To stay within your budget, you need an in-network dentist to benefit from discounted rates. Your insurance company has pre-negotiated rates with select dental offices, allowing you to receive care for a lower price than when choosing one who is not in your network. As a result, you will pay a smaller percentage of the total cost depending on your specific plan, and you will have a lower annual coinsurance to minimize your out-of-pocket expenses. Your insurance company will have a list of dental offices that they recommend to maximize your policy. However, not all will be the right choice for you. Take the time to research your options to ensure you receive high-quality care that caters to your needs while allowing you to make the most of your benefits. In addition to being in-network, look at the services offered at each office. Choose a Zionsville dentist who offers an array of services, including specialized areas of treatment. This will help to reduce the need for a referral to a specialist. By keeping your care in-office, you will not have to pay extra for a specialist or referrals. 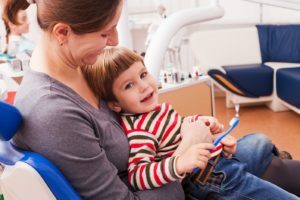 By reviewing the dentist’s qualifications and experience, you can ensure they are able to perform the necessary treatments while delivering the care you deserve. Your comfort and satisfaction are also key aspects to choosing the perfect dentist. Look for extra amenities and state-of-the-art technology offered at each location to choose one who can offer accurate results while keeping your comfort in mind. Finally, check for reviews and smile galleries to learn more about the results you can expect to receive. You pay for your dental benefits, so why not use them? Choose the right in-network dentist to promote a healthy, beautiful smile while staying within your budget. At Trinity Dental, Dr. Angelo Julovich is committed to providing high-quality, affordable dentistry. Our office is in-network with many dental networks and most PPO plans to help maximize the value of our patients’ dental benefits. To see if your coverage is accepted at our office, please contact us today to discuss your options. We look forward to delivering the superior, affordable dental care that you deserve.